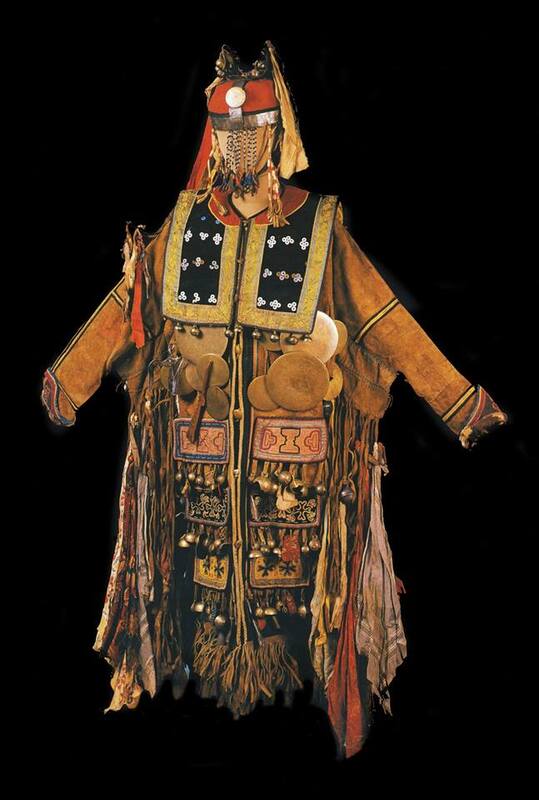 This is a woman shaman’s ritual coat, from the Evenk people. It is made from deer skin with cloth, suede and fur details, and comes from Southern Central Siberia, c1900. 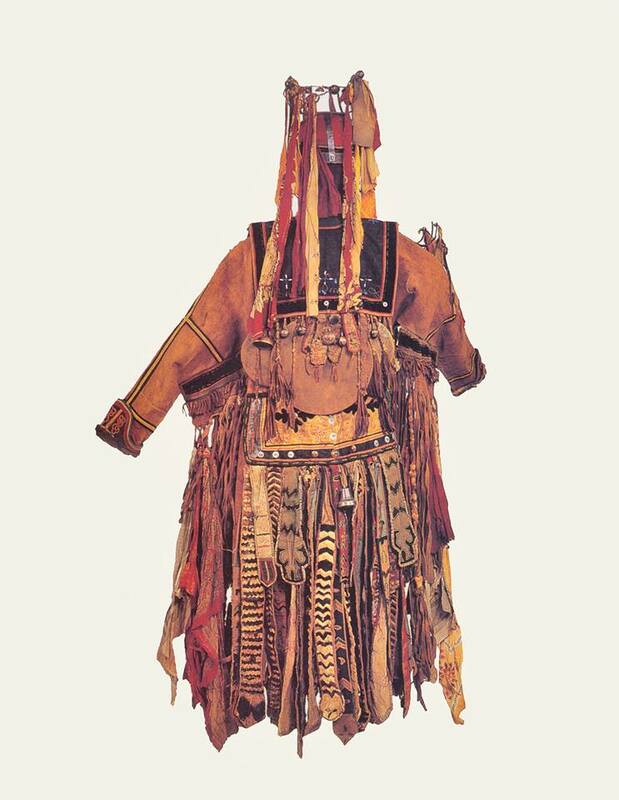 Attached to the coat are beads and bells made from metal, as well as glass beads, and it is hung with numerous toli (bronze shaman’s mirrors) which form part of the ‘shaman’s armour’, helping to protect the shaman when she was in the spirit world. The three layers hung with bells on the lower part of the front of the coat represent the three layers of the cosmos. Attached to the lower right front, among a group of toli, is an elongated representation of the Garuda bird spirit. The coat comes with a shaman crown made of iron, hung with another toli over the third eye, and strips of cloth, and bells, and small iron antlers representing the spirit of the reindeer. On the chest, over the shoulders and down the back, there is a collared cape called a dilkaptun. This is covered with buttons made from mother of pearl. This cape protects the back from hostile spirits, and also represents the wings of the Garuda bird upon which the shaman flies.